mommy's reviews: CampusBookRentals Is a Great Resource for College Students! CampusBookRentals Is a Great Resource for College Students! I was just sitting here thinking about how long it has been since my college days. I was enrolled in college from 2002 until 2004...wow, that was like, a long time ago!! Actually, it seems like it was just yesterday. I loved going to college but what I didn't like was having to buy textbooks. My big issue with this was that I spent loads of money for books that were barely used during class time. Sure, there were classes in which I used my books but most of the time, the professor scribbled on the white board and I took notes in my notebooks. This made me feel like my hard-earned money was being wasted and I hated it. Several years ago, I learned about CampusBookRentals.com and have always wished that I knew about them back when I was in college. Think about it...if you could rent your books rather than buy them, you could save a ton of money. College students could use a break when it comes to college expenses and that is why I love CampusBookRentals. So, here's how it works. There are no membership or hidden fees when you sign up, which is great. You can rent books with free shipping both ways...to get or send back the books. Also, you can highlight in the books and I was a big book highlighter so that is a nice option. There is also a way you can rent out your own college textbooks too! 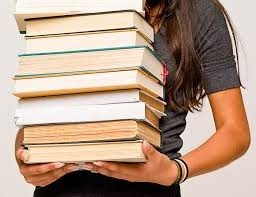 RentBack.com is CampusBookRentals newest program that can allow you to make money by renting out your textbooks. I would say that is pretty easy! I guess I am just so excited that a program like CampusBookRentals exists. If I had known about it back when I was in college, I would have been VERY interested in trying it out. Another reason I love CampusBookRentals is because for every textbook that is rented, they donate to Operation Smile. 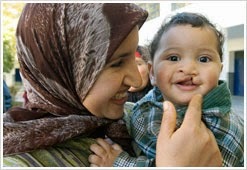 Operation Smile performs life-saving, cleft palate surgeries on children in impoverished countries. They also provide long term and sustainable medical care through the establishment of year round treatment facilities. I love Operation Smile because they truly do care and show it by their caring treatment towards the future of our world...the children. So, if you are a college student and are preparing to start a new semester after the holidays, check out CampusBookRentals and see how they can help you save some money. Disclaimer: This is a sponsored post for CampusBookRentals. All opinions and thoughts are 100% my own.